Azeus Floating Fish Feed Plant has gotten great reputation from both our old customers and new ones. It is widely used for making fish feed pellet, such as catfish, crab, shrimp, prawn, and pet feed, for example, cat, dog etc.. 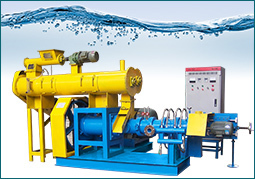 This fish feed plant has a strong adaptability, and a wide range of raw materials, such as corn, wheat bran, paddy, soybean meal, paddy rice, and sorghum, can be extruded into fish feed pellets under high temperature & pressure conditions. ★ Convenient feeding and management: Floating fish feed can float on the water surface for about 12 hours. During the feeding process, fish farmers can observe the feeding situation directly & conveniently, and timely adjust the feeding amount so that farmers can know clearly about the growth and physical condition of fish. 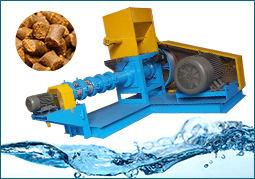 ★ Improving utilization rate and reducing water pollution: the fish feed pellet has good stability in the water. It cannot be easily dissolved, which, to great extent, reduces oxygen consumption of organic matter in water, and improves nutrition. ★ High utilization rate: after extruded feed processed at high temperature in floating fish feed plant, fiber texture and CW (cell wall) is damaged and soften, thereby the utilization rate of the nutritions are boosted, thus increasing the palatability and digestibility of fish feed pellets. ★ Wide application: on the one hand, floating fish feed has a wide applicability in pond fish culture, fish culture in running water, cage fish culture, industrial fish farming, while especially in paddy field fish culture, large water area, and smaller-breeding-density flat pond. On the other hand, fish feed pellets produced by floating fish feed plant can be used to feed both freshwater fish and marine fish, such as bass, snake-head fish, frog, trionyx sinensis, turtle, channel catfish, carp, and crucian carp. As for some other species with special physiological functions, such as United States frog and bass, the fish feed pellets are also edible. ◆ Body sizes: Body sizes of Aquatic products are generally smaller than that of livestock and poultry, and its mouth diameter is smaller. ◆ Digestive capability: Fish and shrimp’s digestive tract is short and thin. Generally, length of fish body is much shorter than that of livestock and poultry, so their digestion and absorption ability is weak, and finely-crushed fish feed pellets help to improve the utilization rate. ◆ Feeding environment: fish are fed in the water, so the feed pellets should have a certain stability to keep its shape and nutrition. Smaller fish feed pellet size is helpful to improve the stability. Fish of same kinds has different size requirements on fish feed pellets. Marketable ones are several thousand times larger than seedlings, especially the fish,crap and shrimp. 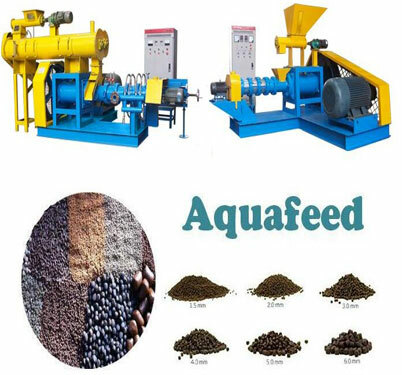 According to the different varieties and different growth stages, Azeus Floating Fish Feed Plant can produce different sizes (0.9-15mm) of fish feed pellets that is compatible with fish’s caliber and nutritional requirement. Various fish feed pellet sizes can meet the different needs of commercial fish farming. it is convenient for investors to promote the feed production. As for pet feed production, depending on the growth conditions, different molds can be chosen to make pellets with different diameters and shapes. 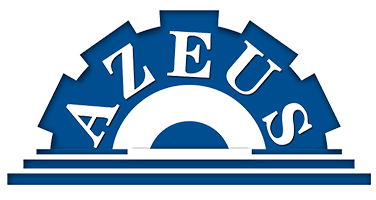 Azeus fish feed pellet machines are with advanced technology, high capacity, low energy consumption. 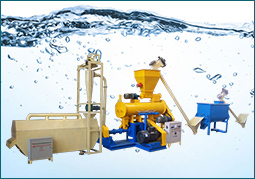 The shape and size of final fish/shrimp feed pellets are changeable by exchanging the mold, and the floating time can be changed by adjusting the extrusion degree. Instant high temperature greatly reduces the decomposition of fish feed nutrients, in turn, increasing the digestibility of protein and starch and improving the taste of the pellet.